Wisdom of Life. 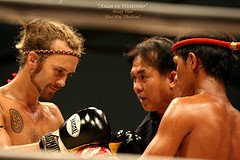 : Westerner vs Asian. Difference between Westerners and Asians - This is very interesting, just read on. To group all races of Asians as one is to overgeneralize. Asian races are more diverse than the Caucasians, i.e. Indians differ from the Chinese in most respects. Westerners: individualism, think of himself or herself. Asians: enjoy gathering with family and friends, solving their problems, and know each other's business. Westerners: on time. Asians: in time. Westerners: Contact to related person only. Asians: Contact everyone everywhere, business very successful. Westerners: Queuing in an orderly manner. Asians: Queuing?! What's that? Westerners: Enjoy weekend relaxing peacefully. Asians: Enjoy weekend in crowded places, like going to the mall. Westerners: Only gather with their own group. Asians: All focus on the one activity that is hosted by the CEO. Westerners: Talk softly and gently in the restaurant. Asians: Talk and laugh loudly like they own the restaurant. Westerners: Love sightseeing and enjoy the scenery. Asians: Taking picture is the most important; scenery is just for the background. Westerners: Take any steps to solve the problems. Asians: Try to avoid conflicts, and if can, don't leave any trail. Westerners: Good meal for once a day is sufficed. Asians: At least 3 good meals a day. Westerners: When old, there is snoopy for companionship. Asians: When old, guarantee will not be lonely, as long as willing to babysit grand kids. Westerners: The boss is part of the team. Asians: The boss is a fierce god. Westerners: Eat healthy Asian cuisine. Asians: Eat expensive Western cuisine. Westerners: The kid is going to be independent and make his/her own living. Asians: Slog whole life for the kids, the centre of your life. Note: my personal observation, whether Westerners or Asians we speaks the same language SMILE...."What's the use of worrying? It never was worth while, so pack up your troubles in your old knit bag, and smile, smile, smile. — George Asaf. I can't say I disagree with any of that.. usually I like to find at least one point to disagree on to make the comment more interesting, but that article was interesting enough. Now westerners visiting Asia and Asians visiting western countries - blend in with the culture or be yourself (hopefully without insulting the host country)? Don't forget we speak the same language smile. Hopefully you would come over to see for yourself here.